CLICK HERE FOR STORIES BY LIVIA BLACKBURNE. 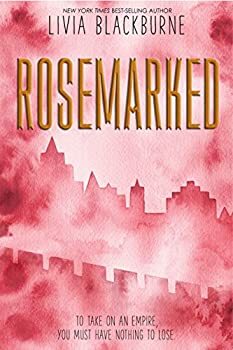 Today we welcome Livia Blackburne whose young adult novel Rosemarked has recently been released (here's my review). 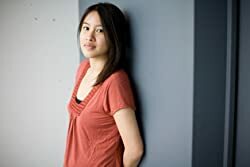 Livia is a neuroscientist and, since we have two neuroscientists on our team here at FanLit, we asked her how her background influences her writing. Livia says that she views neuroscience and fiction as two sides of the same coin. One random commenter with a U.S. address will win a copy of Rosemarked. In this 2017 YA political fantasy, Zivah and Dineas infiltrate a common enemy kingdom on a spy mission to preserve their respective tribe/agrarian village from an imperial oppressor. Rosemarked follows a dual POV narrative between Zivah, a mystical healer afflicted with the deadly Rosemark Plague, and Dineas, a tribal warrior who has achieved a rare recovery from the disease. This story is billed as fantasy, but speculative elements are limited to the mystical nature of the healing arts practiced by Zivah and a pair of crow message carriers who always mysteriously find their master and addressee anywhere. Spooks, I know, might consider the messenger crow commo plan high fantasy indeed, but to those who read the genre, this is quite low fantasy. Within the healing speculative element, however, Livia Blackburne crafts the story’s most promising conceit. 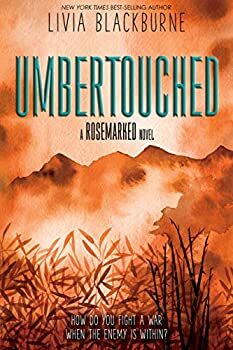 Livia Blackburne’s second novel in the ROSEMARKED duology, Umbertouched (2018) follows the story of plague-infected Zivah and -recovered Dineas as they escape imperial quarantine to return to their tribe and village, prepare them for imperial attack, and try to widely expose the rogue physician who had used the plague to deliberately infect imperial troops.